Miss Marguerite A. Keasbey established the Keasbey Memorial Foundation in honor of her father and mother. Her father, Henry G. Keasbey, was the founder of the firm of Keasbey and Mattison, which had its principal plant and offices in Ambler, Pennsylvania. Marguerite A. Keasbey, never married and had spent a great deal of time in England both before and after World War I with her father, a widower. Miss Keasbey was particularly interested in the quality of British education and decided in the 1950s to establish a foundation to provide scholarships for both British public school students and for graduating American college students so that they might pursue degrees in Britain and experience fully the life of the British college system and university. Over the course of the past sixty years, the Keasbey Foundation has established strong ties with the following colleges and universities in the UK: Balliol, Hertford, New College, and University College at Oxford; King’s, Selwyn and Trinity at Cambridge; and The University of Edinburgh. We provide bursaries to students at each of these colleges and universities. The Keasbey Foundation played a role in the creation of the Keasbey Research Fellowship in American Studies, administered by Selwyn College, Cambridge. Contract Selwyn College for details about how to apply for this postdoc. 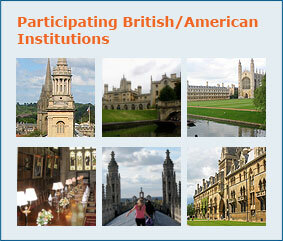 American students who receive a Keasbey fellowship are awarded up to two years of full funding, including tuition, fees and living expenses, either to read for a second undergraduate degree or to attend a graduate program at one of the universities with which the Keasbey Foundation is affiliated in the UK. The American students are selected on a rotating basis from the following institutions: Amherst, Bowdoin, Brown, Cornell, Dartmouth, Harvard, Haverford, Middlebury, Princeton, Swarthmore, Wesleyan and Yale. Students do not apply directly to the Keasbey Foundation: they apply through their college or university. Each participating university is allowed to nominate two students for the Keasbey Foundation. All of the nominated students are interviewed by the trustees of the Keasbey Foundation in Philadelphia at the law offices of Morgan Lewis in early December. Awards are announced by mid December. The Keasbey Foundation also awards scholarships to young men and women attending secondary public schools in Great Britain. Currently, scholarships are awarded to students attending the following colleges: Charterhouse, Clifton, Malvern, Marlborough, Oundle, Rugby, Shrewsbury, Tonbridge and Westminster in England, Gordonstoun in Scotland, and Christ College in Wales. These schools make the selections of prize nominees, based on the approval of the Keasbey Foundation. 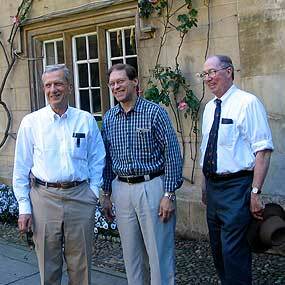 The Keasbey Foundation is overseen by a board of trustees.